Prolozone: How does it work? The ozone and injected nutrients rebuild & regenerate damaged or weakened connective tissue (ligaments & cartilage tissues) in and around joints. By repairing the connective tissue, the body is able to reverse chronic pain. All the research indicates there are no side effects when properly implemented. Connective tissue often refers to ligaments, which are structural “rubber bands” that hold discs, bones & joints together. These fibrous bands can weaken with injury, overuse or surgery, becoming brittle. Often they cannot heal back to their initial elasticity and strength when our body’s healing ability is compromised. These weakened ligaments strain the bones, discs and joints they are supposed to bind, resulting in pain and arthritis. More pain arises as the weakened ligaments have many nerve endings that fire as they deteriorate. Joints are like hinges on a door. Aging or athletic overuse can cause accelerated degeneration of these hinges and the failure to repair may be due to poor nutrient status, poor circulation, inflammation and aging metabolisms. 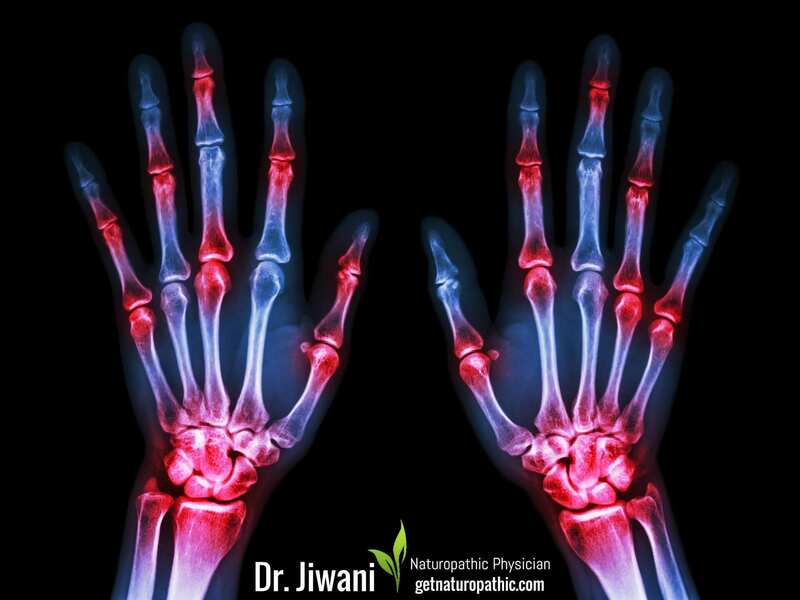 This causes the body’s connective tissues, ligaments, tendons & cartilage to be come brittle, dehydrated and weak. Weaker joints cause dysfunction and pain. The body responds by replacing the space in the joints with bone spurs called osteophytes; signs of degenerative arthritis in and around the joint. This results in less range of motion, muscle strain in surrounding areas causing referred pain and poor function. 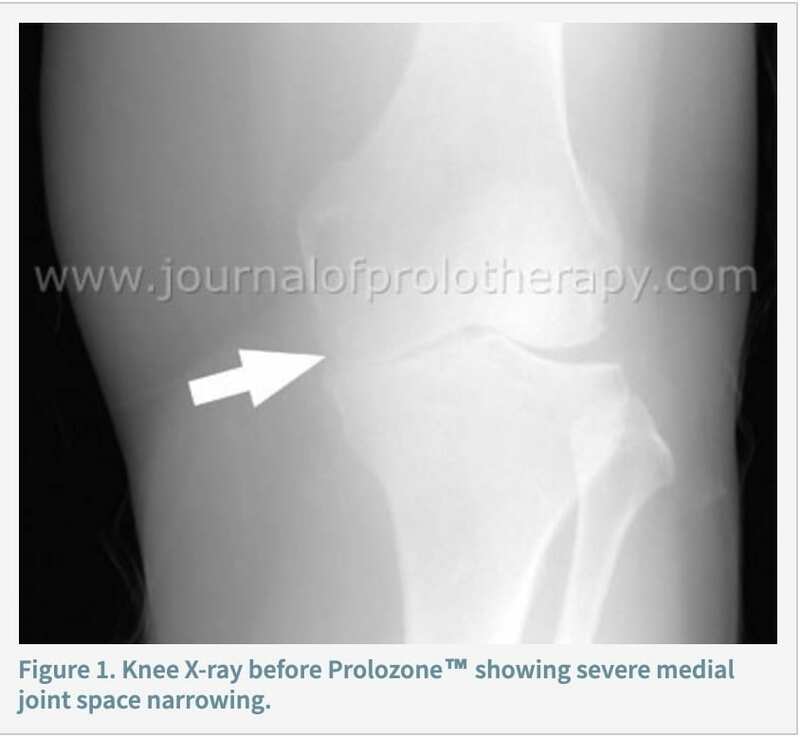 In Prolotherapy, the term “Prolo” is short for proliferation, because the treatment causes the proliferation (growth/formation) of new tissue in areas where it has become weak. 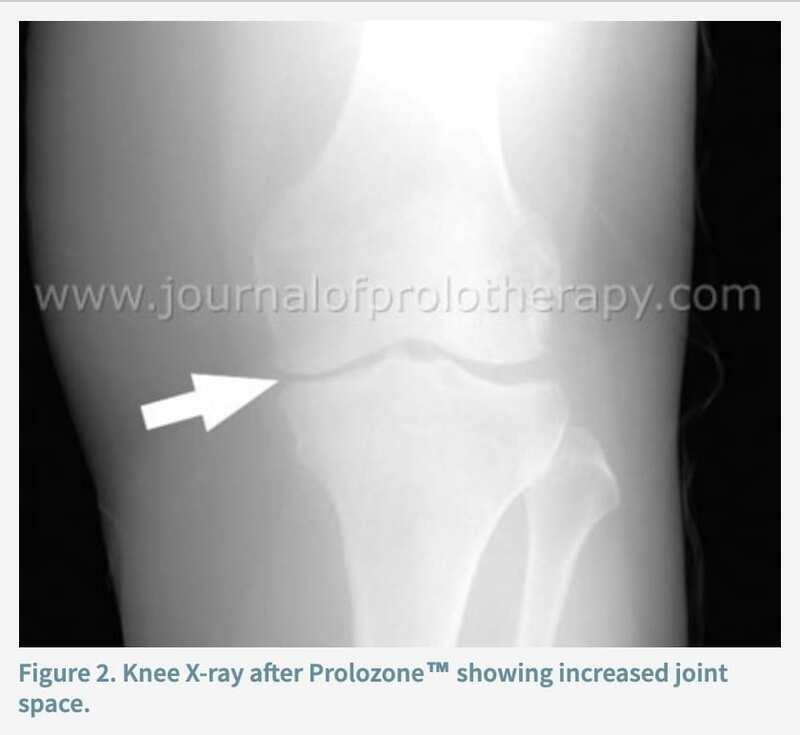 In Prolozone®, the use of ozone causes the joint to heal much more quickly than in traditional prolotherapy. This is because ozone is a highly reactive molecule and when injected into a joint capsule it is able to stimulate the fibroblastic (or regenerative) joint repairing abilities. The regenerative healing effects of ozone is added to improve oxygen utilization in a localized area of damaged connective tissue, allowing it to heal, and to restore full function. Prolozone stops the pain/inflammation cycle by improving circulation, nutrients and water to damaged tissues allowing healing, less pain & inflammation and improved range of motion. The response to treatment varies from individual to individual and depends upon one’s healing ability and severity of injury. Some people need only one or two treatments, while others may need six or more. The injection process is repeated every 1-2 weeks until maximum improvement is noted. It may take more injections in those that have had severe pain for many years. Each situation requires its own protocol. Typically four to six treatments are required for healing an injured area, but monthly maintenance may be required. Relief may not be felt until the end of the 4th treatment. Results can vary from one person to the next. Please pre-schedule your injections to ensure proper frequency of injections for optimal healing every 1-2 weeks, or as required by Dr. Jiwani. There can be some discomfort if the joint is inflamed, but generally, there is minimal discomfort with the procedure. When the injection is introduced into the joint there is often some minor discomfort lasting a few seconds. When the ozone is introduced into the joint, there is usually no discomfort, but the joint feels full for about 30 minutes. There may be minor soreness in the joint for about 24 hours after the procedure, especially the first treatment since there is often some inflammation present. If you are prone, some bruising may occur at the injection site. Movement, light exercise, and heat will reduce soreness after the treatment. Although your joint may feel numb & full after the procedure, you may resume normal activity. Patients often feel pain relief soon after due to the anti-inflammatory effect. 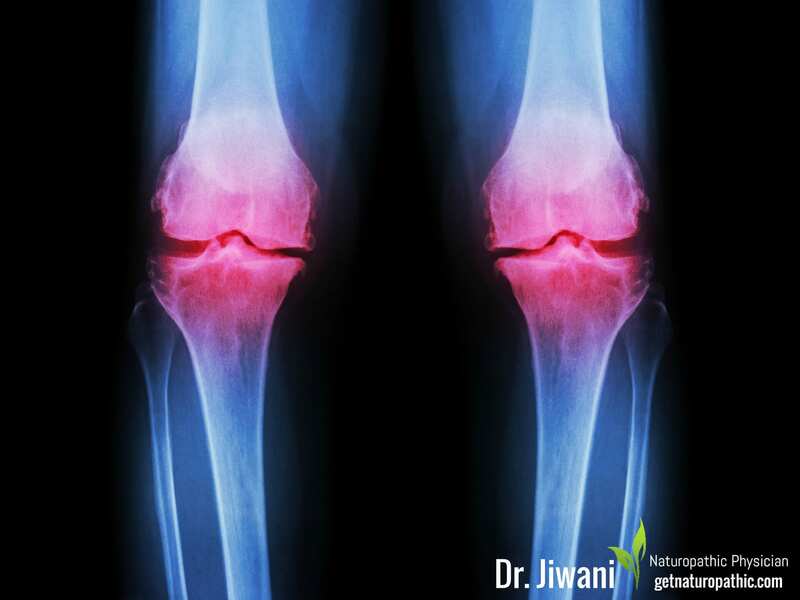 It may be recommended to AVOID any use of NSAIDS (Ibuprofen, Advil, Aspirin, Celebrex, Naproxen and Aleve) and Cortisone injections as they will inhibit healing, however consult with Dr. Jiwani first. Avoidance of any anti-inflammatory medications for at least 4 days following treatment is recommended. If you need a pain reliever, Acetaminophen (Tylenol) can be used, up to 1 gram per day. Prolozone is a safe, natural and often long-lasting treatment for chronic pain. All the research indicates there are no side effects when properly implemented.